Looking for evergreen content ideas? You are in the right place! Evergreen content slowly becomes a buzzword in the marketing world. We see that more and more people are starting to produce evergreen content to get long-lasting results. It takes an important part in our own content marketing strategy. 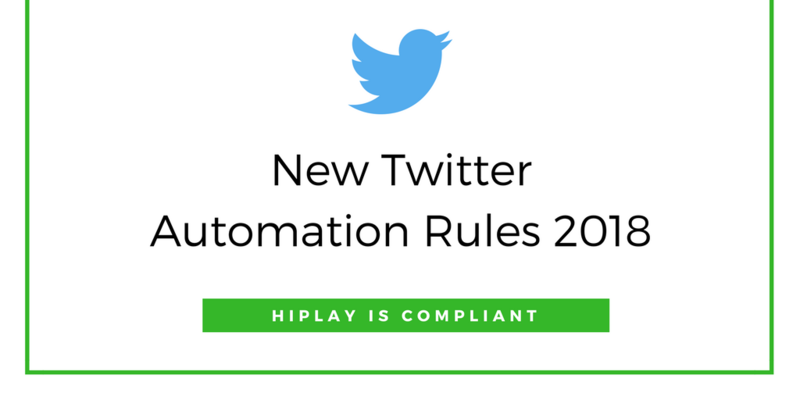 Twitter has announced new rules on how users and applications can automate their tweets. Twitter prohibits any attempt to use automation for the purposes of posting or disseminating spam. What does this new rule mean for Hiplay users? Let us explain in more details. Every class has an unpopular, almost invisible nerd who becomes famous later in life as a CEO of a large company or a Hollywood celebrity. The same happens in SEO. Unpopular keywords with a low search volume can get the ball rolling to a degree when prospects will flow to your site like flies to honey. Are you looking for new brand management techniques for your content marketing strategies? In order to fully engage audiences, your company’s content marketing must evolve with time. Done right, effective strategies have the potential to not only build brand awareness but also boost sales and lead to fruitful conversion rates. We welcome contributors with fresh perspectives in social media and content marketing.